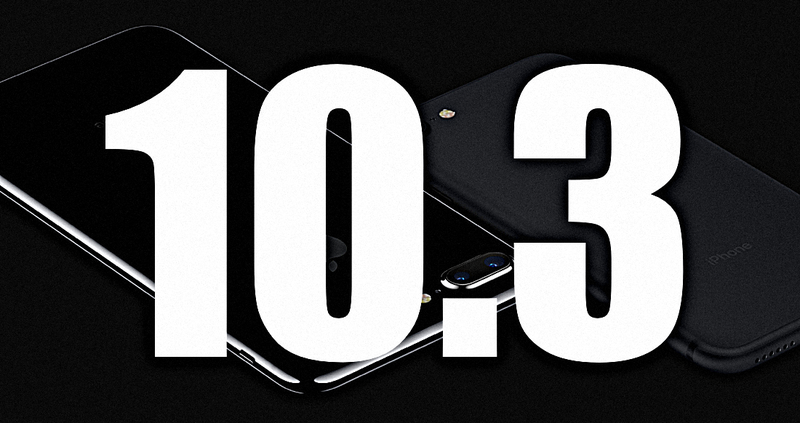 The third major update to Apple’s tenth version of its operating system – iOS 10.3 – is coming very soon. Here’s what you need to do to get your device ready for the upgrade. First of all, let’s look at some of the new features coming on iOS 10.3. Beta testers and developers already know this, but if you’re a normal Apple device user, you probably haven’t gotten that far yet. The biggest feature in Apple iOS 10.3 is, arguably, Find My AirPods. The feature is similar to what you already have with Find My iPhone, and will help you locate your missing AirPod earpieces should you misplace one or both of them. The second big feature is the new Apple File System, APFS, which replaces the thirty-year-old HFS file system. You might see a few changes at the front end, but not that many. For example, you might feel that your iPhone is suddenly able to hold a lot more data than before. Developers noticed this on the first beta of iOS 10.3 – space availability was more, and there was a marginal increase in capacity as well. That’s because of how the new file system calculates used and available memory. You may also notice an increase in speed when moving and copying files. Other than that, everything pretty much happens behind the scenes. It appears that Apple wants to shame developers into not offering 32-bit apps on Apple App Store anymore. It’s gained a little bit of unpopularity within the developer community, but that’s the way Apple wants to play. You might have seen this on iOS 9 as well, but it looks like Apple is stepping it up in iOS 10.3. If you have an iPhone 5s or higher, then you’re covered. This is mainly applicable to pre-iPhone 5s devices. The third point is for jailbreak enthusiasts. Once iOS 10.3 is released, Apple could quickly close the door on iOS 10.2.1 and stop signing it. They’re still signing it now, obviously, but that could change right after iOS 10.3 releases, which could be as soon as this month. If you have a jailbroken device but still want to get iOS 10.3, then you need to save your SHSH2 blobs for that device, for iOS 10.2.1 – and you need to do it now. Once you’ve backed up your data and know what new features to expect, you’re ready to upgrade to the latest mobile OS version from the House of Apple – iOS 10.3.